Presentation by Travis S. Mortimer, PE. Assistant Administrator responsible for capital projects. Requirements of Station 10 project: Old firehouse was built in 1991 and is aging, and at this point it makes no economic sense to repair the existing wooden building. The county ran a facility condition index and found Station 10 to be in the poorest condition of all of the County firehouses. They will be replacing the existing building with a new firehouse that conforms with fire station requirements. To comply with County policy, they cannot continue to invest in the building and must rebuild. Travis mentioned structural issues with the existing building (pilings issues, soffit damage) and why it cannot be repaired. Since the building cannot be remodeled to comply with code and regulations, it must be rebuilt. The firehouse will be going from a footprint of 3200 sf to approx. 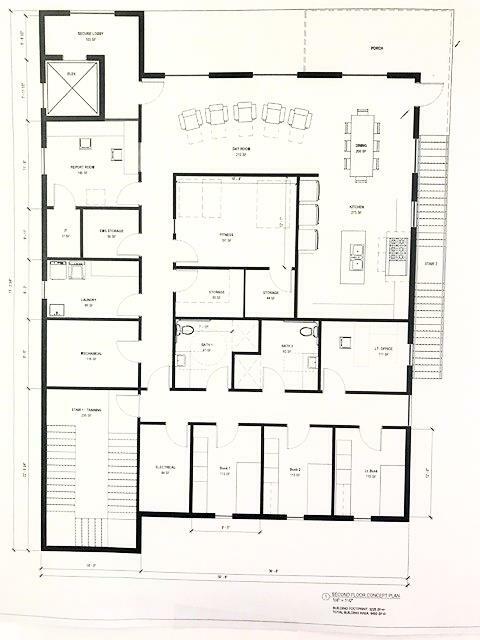 5500 sf. It will have berthing spaces that conform to modern standards and be a “safe” place, meaning the building must have a lobby for the public to enter (however, they can’t come into the back of the Station). It will have an elevator, be ADA accessible, have parking and stormwater drainage. It must meet Miami-Dade code of 170 mph winds. PROJECT TIMELINE: 9 months for the design. At this point they are running a little behind, but are continuing to design and should be able to catch up to planned schedule once the site is selected. They anticipate 12-15 months of active construction. By October 2020 we can expect them to be moving into the new structure. SITE A. Existing site is a small ¼ acre + parcel. They can make it work. 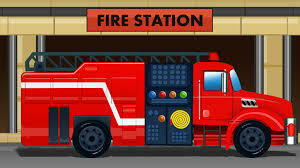 The challenge would be operating the fire station while constructing the new one. They need to find temporary site during construction. Existing site is estimated to run $300K over original budget including $200K budgeted for temporary facilities. SITE B. 61 Gasparilla, a vacant lot two parcels north of the existing site. Upside: No NIMBY issues – they consider it a benefit that the location is familiar to neighbors. Downside: Would require a zoning change to build the firehouse & is privately owned. Site B would run $100k over original budget plus purchase price of the property. SITE C. 1 North Gulf Blvd. Upside: It’s a presence, could be a landmark for the island. Downsides: land is much bigger than required. The County only needs a portion of the parcel. Also it is currently privately owned and requires buffers for wetlands. With the known issues Site C is estimated to run $300K over budget, plus the cost of property, in addition to the possibility of unknown issues that could cause more cost overruns. Travis said that they are trying to protect the county from taking on liabilities, such as excess land. They do not want to own and maintain so much property and mangrove. The evaluation matrix had a 1-5 scoring system, which was a SUBJECTIVE measure in terms of how convenient or attractive or how many burdens were assumed with each location. need (1 acre). If the permitting is agreeable they could probably make Site C work with a very GOOD price on the land parcels, or even a “patriotic” donation (which does occur periodically with right-of-ways) but they are still concerned about the unknowns (potential issues during the project execution that could cause big cost overruns). Bottom line: He thinks he can make any of them work but cannot control some of the risks involved with SITE C.
Equipment type & stowage: They are preparing for replacing apparatus as needed not replacing the TYPE of apparatus used and stored, so the same space will be appropriate when equipment is updated in 2021. Water assets: Marine unit/piers (access) are used for evacuations and bringing marine crew in. Water access would be nice but not required. The County can get the job done through other means, so it is not a priority. Deputy Chief Fair said that the county has regional service: if we had a marine crew based on the island they would spend most of their time away from the Island, by necessity, to be useful to the County. NEXT STEPS (TRAVIS): 1. It is on the County Commission agenda on April 9th for a vote on accepting the recommendation of 61 Gasparilla as the site location for the new fire house. If you wish to give input to the BCC, there will be an opportunity at the BEGINNING of the meeting for input on any topic on the agenda. 2. The Board will give direction to the staff on how to proceed 3. Site specific design and permitting to follow. 4. Construction begins in (best case) October 2019, in the worst case it’s uncertain. Project estimated to have a 12-month duration. 1 North Gulf parcel was brought to his attention a while back and was “way more than we need”. He pushed to get the lot analyzed, but he can’t justify to the county taxpayers additional $800-900K to pay for a firehouse. “I support the original location to replace the firehouse”, he said. “I can’t say to people in other parts of the county to pay a lot of extra money for a larger parcel that isn’t necessary.” Island Station 10 can’t be utilized for backup for other stations, like any other fire station in the county. CCFD assets/employees have to be moved around on the mainland, but they can’t take assets off the Island. Mitigation credits: “It is an idea” Truex said. “I don’t know enough about what our land bank looks like around here.” Travis said that the site evaluation report is not exhaustive, primarily dealing with the budget. The Little Pine Island land bank was mentioned, which could make a big difference to the underlying cost of Site C. Travis said he would look into it. ​CHIEF VAN HELDEN: “We take response times VERY seriously,” he said. “We want to stay committed to make sure we get that early CPR, early defib to be able to take people off the Island.” He thinks this design will cover needs for the next 20 years. “This facility will be appropriate for future build-out even adding a 3rd crew.” In times when there’s a storm threat but no evacuation, they put a rescue unit on the Island “when we are concerned that we can’t transfer people off the Island.” New facility must have a collection area in the event of storm/emergency, so that they will be able to put people inside the building for care. BILL TRUEX: He’s not saying “NO” to Site C, but he has to be cognizant of ALL taxpayer dollars. Asked for current build-out levels: 418 buildable lots/660 built. If extra costs are charged back to Island MSBU “easy numbers” on $1M overbudget: 1000 properties each taxpayer pays extra $100/year for 10 years. When asked about concern about future commercial development (such as a hotel or motel) on that N. Gulf Blvd. parcel, “that won’t happen” Truex said. “It would take MAJOR sewer” indicating that the sewer line expected in the future wouldn’t support a motel/hotel there. He said he will check to see if future land use is different from RMFT zoning. Chief Van Helden said to keep in mind that we have to replace fire trucks in the future, which will be charged back to the Island taxing unit. He’s looking to stretch the life of the current equipment 2-3 years. 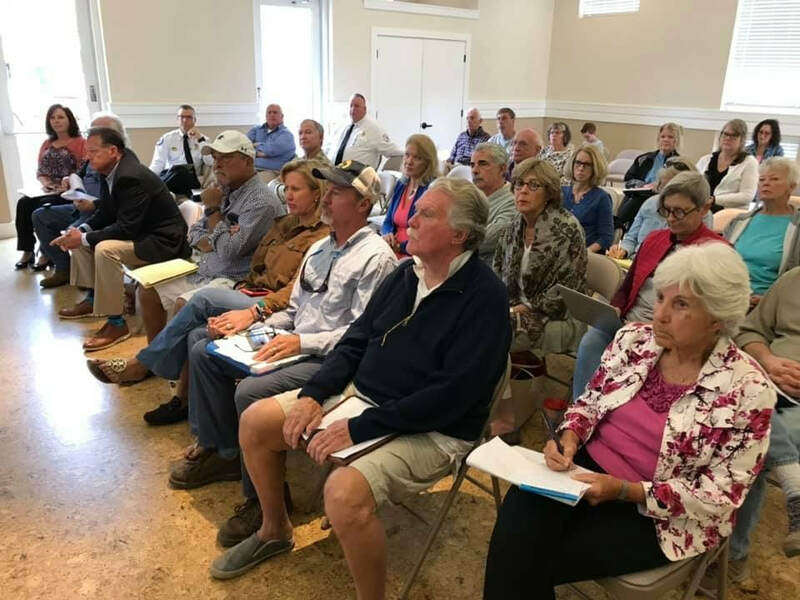 ​PUBLIC COMMENTARY: Chief Van Helden addressed a question about 3 landing helicopter landing sites: one site north of the Resort, one site on vacant land within the resort, one site at the ferry landing. Three Islanders got up to speak in support of alternative Site C. Billy Caldwell, the owner of Site C, used the site map to elaborate on the potential of the site. He also said that the cost of the purchase could be paid over 7 years. Bill Truex said he would speak with him further. There was some discussion of exposure for flood insurance, which Chief Van Helden indicated may be changing in the next 3 years or so. 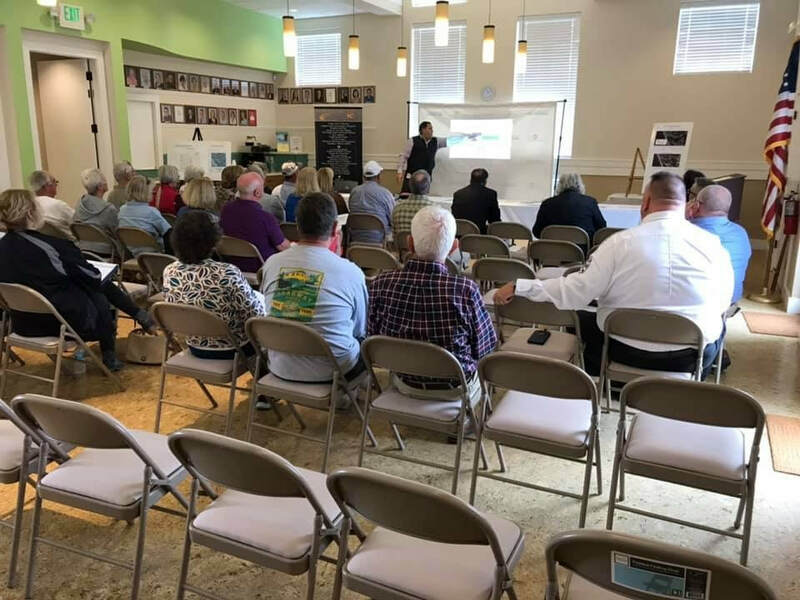 CHARLOTTE COUNTY, Fla. (March 8, 2019) – Charlotte County is holding a Town Hall meeting to discuss the details of the Fire Station 10 project. Staff will be available for public comment and to answer questions. The town hall meeting will be March 18, 2019, at 11 a.m. at the Englewood Chamber of Commerce, 601 R. Indiana Ave. Englewood. Presentation starts at 11 a.m. and exhibits will be available for public review at 10:30 a.m. The Board of County Commissioners will consider the site selection during the regular board meeting on April 9, 2018. To review the Project Status Update and Site Evaluation Report, visit CharlotteCountyFL.gov and click Project Status Updates in the Popular Links. 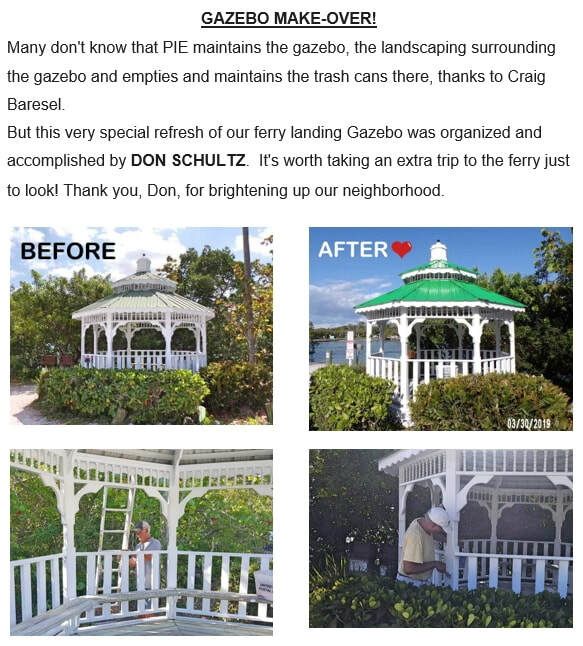 For information email Gary Burdahl at Gary.Burdahl@CharlotteCountyFL.gov. 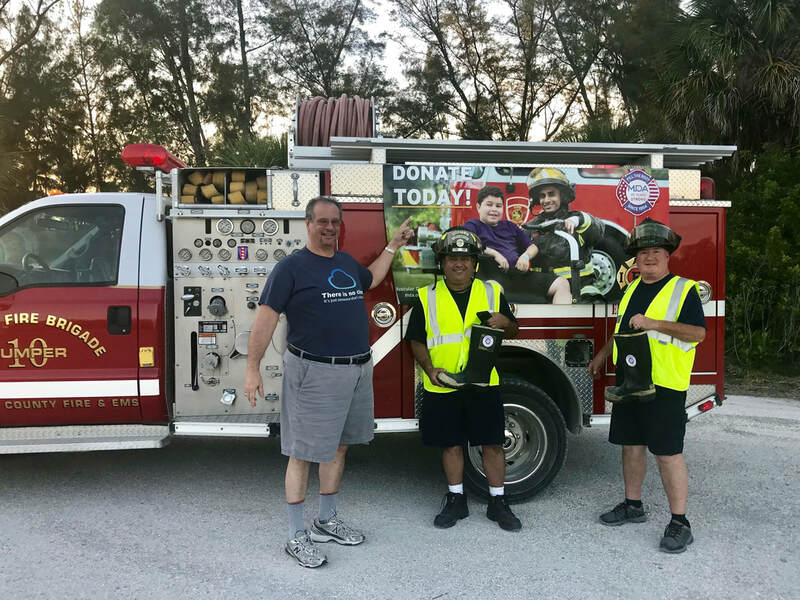 CHARLOTTE COUNTY, Fla. (March 8, 2019) – Charlotte County is holding a Town Hall meeting to discuss the details of the Fire Station 10 project. Staff will be available for public comment and to answer questions. The town hall meeting will be March 18, 2019, at 11 a.m. in the West County Annex located at 6868 San Casa Drive in Englewood. 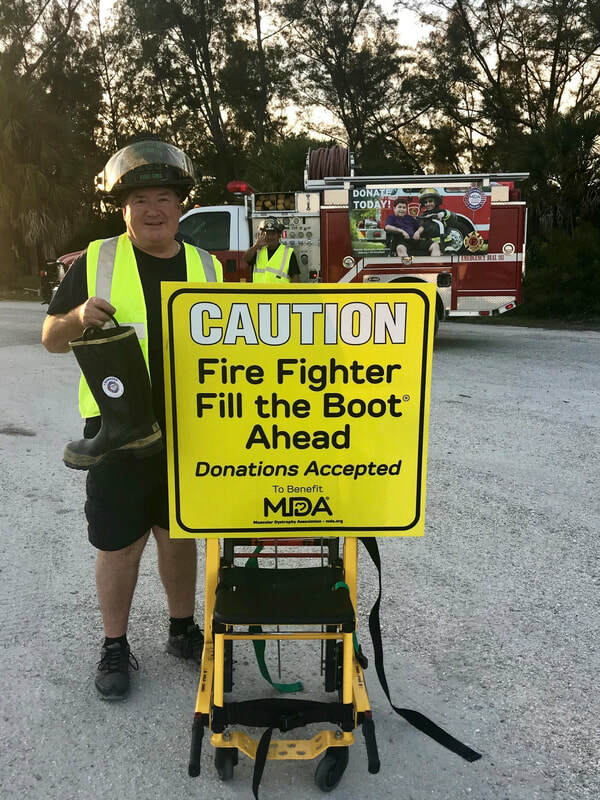 Yesterday, Friday 3/8, our own Station 10 Firefighters Eddie Diaz and Don Morley joined firefighters around the country for the "Fill the Boot" campaign to benefit the Muscular Dystrophy Association. 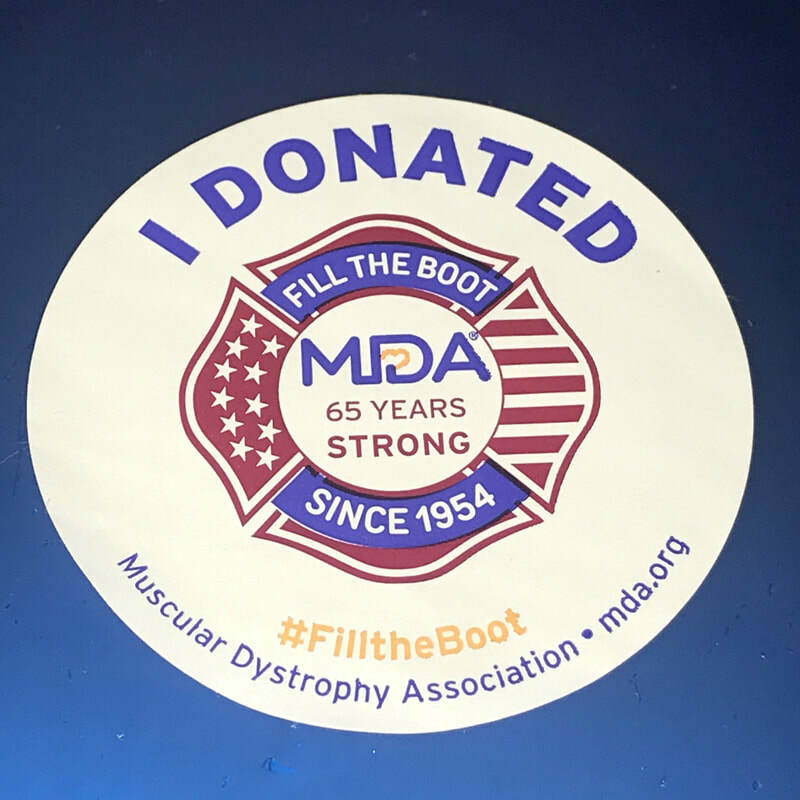 This was the first time that Station 10 participated in the 65-year-old annual campaign. Our present Fire Station on Gasparilla Way does not meet County Code and fire service requirements, so the County will be replacing it. The original plan was to put the new building on the existing location. However, this site has significant challenges and the County is evaluating alternative locations. A site evaluation report was prepared for the County and released on 02.19.19. This report is being reviewed and the BCC has scheduled a vote to finalize the site location at their April 9th meeting. The fire house project can be tracked at the Project Status Page on the Charlotte County Public Site. 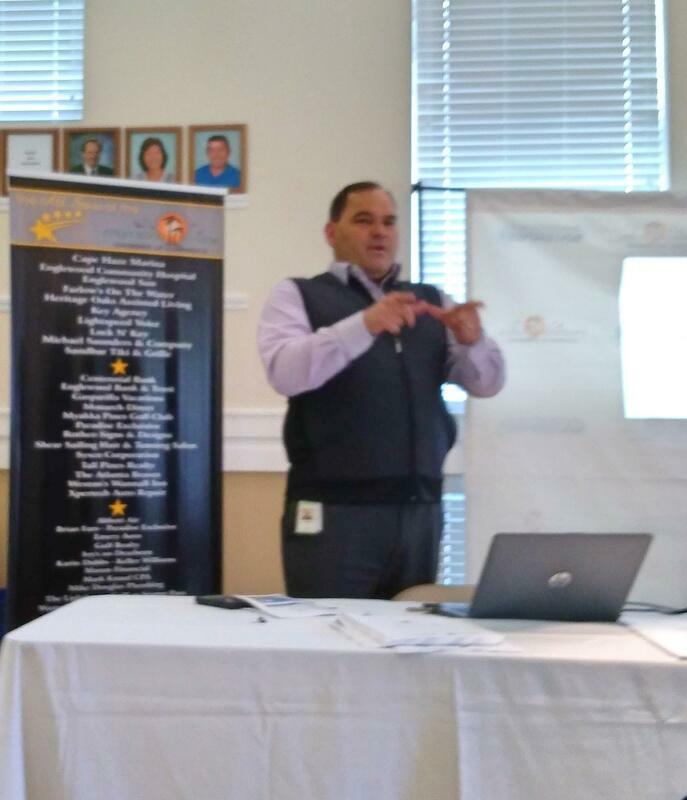 Travis Mortimer, Assistant County Administrator, advised us on 02.27.19 that County representatives will be arranging a Town Hall style meeting at the West County Annex on San Casa sometime in mid-March to address stakeholder questions and concerns. PIE will be sending an email notice as soon as the date/time has been set. Travis has requested that questions and concerns be forwarded to the County through one communication source. Candy Cohen has agreed to serve as administrative liaison on this subject. You can reach Candy at candycecohen@gmail.com or text her at 201-600-1083. PIE will be sending an e-mail giving the date and time of the Town Hall Meeting once the details are available. As we shared last week, our Fire Station on Gasparilla Way does not meet County Code and fire service requirements, so the County will be replacing it. The original plan was to put the new building on the existing location. However, this site has significant challenges and the County is evaluating alternative locations. A big thank you to the Board of County Commissioners for postponing the vote on the new firehouse location from their meeting on February 26th to the next regular BOCC meeting on March 12th which allows an adequate public comment period. The Fire Station 10 evaluation report outlining the original and two new site options has been uploaded to the PIE site. You may continue to follow the County’s progress at the Project Status Page on the Charlotte County Public Site. On this site, it is noted that the project is funded by the county-wide capital project fund, not through the MSBU contribution. For further information and to submit comments, please email the project manager, Gary Burdahl, at Gary.Burdahl@CharlotteCountyFL.gov. Comments are welcomed and should be submitted by March 5th. For further information, or contact Lou Ellen Wilson at louwilson2016@gmail.com or Candy Cohen at candycecohen@gmail.com.